I thought A Court of Thorns and Roses was great. But I do not really know what I was thinking. This A Court of Mist and Fury is much better! Find out below more on why I changed my mind! 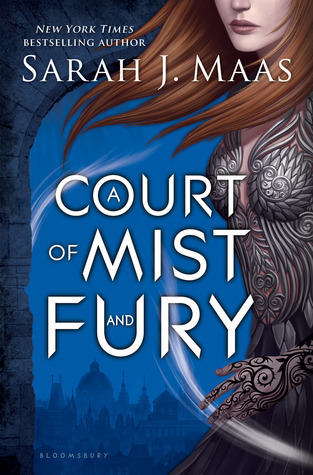 I gave A Court of Mist and Fury by Sarah J. Maas five out of five stars because I thought it was one of the best reads of 2016! I love how Feyre comes to an understanding of how her great love Tamlin is treading her. The girl grows so much during this book, she really gets to grow into her immortal skin. She goes from a broken girl with traumatic events just behind her, not being able to deal with it, to a strong woman, with a mortal heart in an immortal body. During this book you really get to know Rhysand’s motives. During the first book I found him interesting, but this book really brings him forward. I like to see this extra layer of him and why. He and his friends are great characters each with a background and different reasons for acting in certain ways. The males in this story are a bit made into opposite ends again like as in last book, but this time completely shifted. I did think before the relationship between Tamlin and Feyre was unhealthy, but it turns even worse. I am looking forward to reading the next book in this series, which will be released in May next year. The end made me so curious for it!